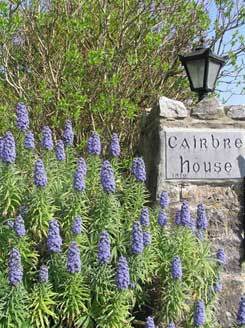 The house and gardens are located in an extremely favoured and sheltered location on the Colligan River Estuary. The gardens are surrounded on all sides by a cut limestone wall which was constructed at the same time as the house (1819). 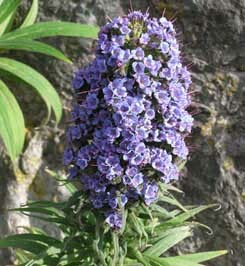 The perimeter wall which borders the estuary for 75% of its length helps to gives the protection necessary for the survival of many tender and half hardy plants and shrubs. The soil is light, free draining and fertile. The combination of these factors means that the gardens enjoy a micro climate which allows a large number of exotic, rare and unusual Mediterranean, South African, Australian and other sub tropical plants to be grown successfully. Some of the features include a rose garden containing many historic old roses and scented hybrid tea roses no longer in commerce. There are over 160 metres of 3-4 m wide shrub & herbaceous borders up to 4m wide running throughout the front and rear gardens. 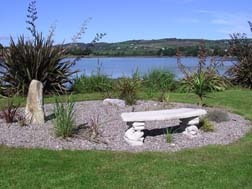 All parts of the gardens are available for our guests to relax in and enjoy. 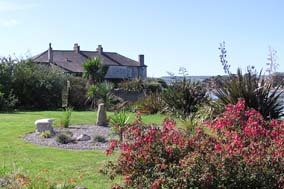 The rose garden, rear garden and estuary garden have tables and seating available for guests use. 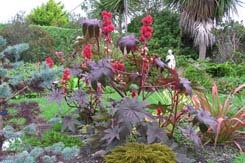 The gardens have been listed for many years in the publications South East Garden Trail and in the annual Gardens Open guide which is jointly sponsored by Fa¡ilte Ireland and The Irish Garden magazine. 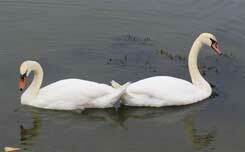 A large range of wildlife is supported by the varied habitat and vegetation in the one acre mature gardens. The eco friendly gardens have been deliberately developed as a haven for wildlife and attract a wide variety of birds and butterflies. 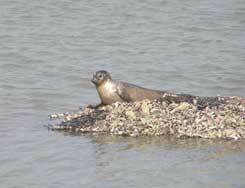 Harbour seals are regular visitors in the estuary beside the house. During the Winter months at least 30 different species of birds are recorded annually for the Bird Watch Ireland / ESB Garden Bird Survey. 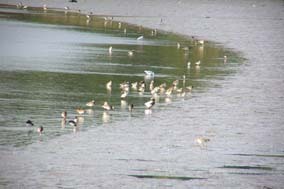 Dungarvan Bay and the tidal Colligan River Estuary is of national and international importance in relation to wintering waterbirds and waders with 28 regularly recurring species being recorded annually by the Irish Wetland Bird Survey (I-WeBS). These include internationally important numbers of Brent Goose and Black Tailed Godwit and nationally important numbers of Shelduck, Merganser, Oystercatchers, Golden Plover, Grey Plover, Lapwing, Curlew, Dunlin and Redshank. 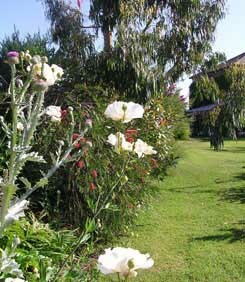 All of these species and more may be observed from the gardens and a number of the bedrooms from September to April. 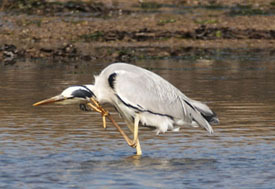 During the warmer months the number of wetland species decline, however Grey Heron, Little Egrets, Oystercatchers, Cormorant, Mute Swans, Curlew, Whimbrel , Ringed Plover, Mallard and Black Headed Gulls are also present during the summer.